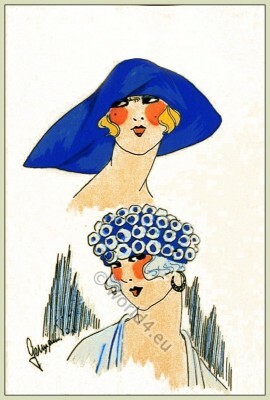 Flapper Cloche Hats 1920s to 30s. Chapeaux du Très Parisien Vol. 1. “Grace Moderne”, Les Chapeaux du Très Parisien. 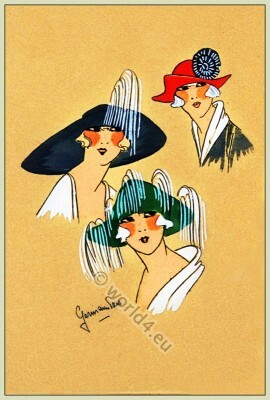 This entry was posted in 1922, 20s, 20th Century, Art Deco Period, Chapeaux du Très Parisien, France, Hat and tagged Art Deco Fashion, Flapper on 7/30/13 by world4. “Aristocratie” Chapeaux du Très Parisien 1922. Model Aristocratie, Les Chapeaux du Très Parisien, 1922. 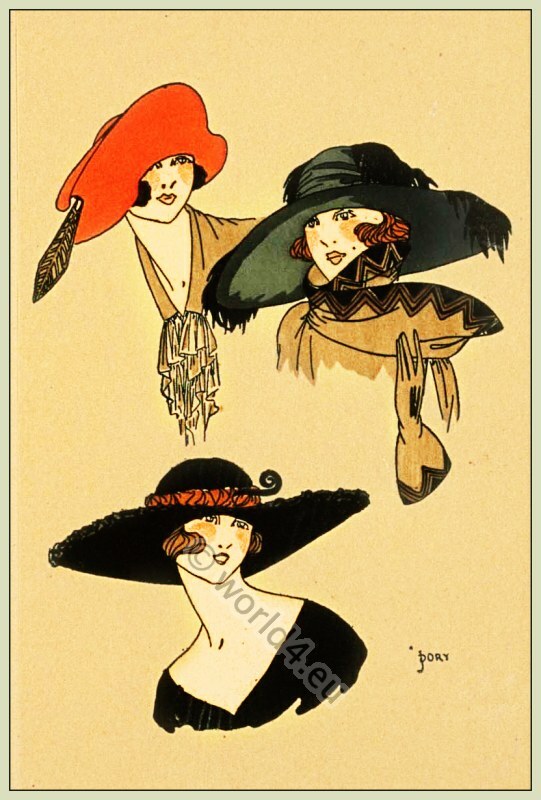 This entry was posted in 1922, 20s, 20th Century, Art Deco Period, Chapeaux du Très Parisien, France, Hat and tagged Art Deco Fashion, Flapper on 7/29/13 by world4. Prochain Printemps. 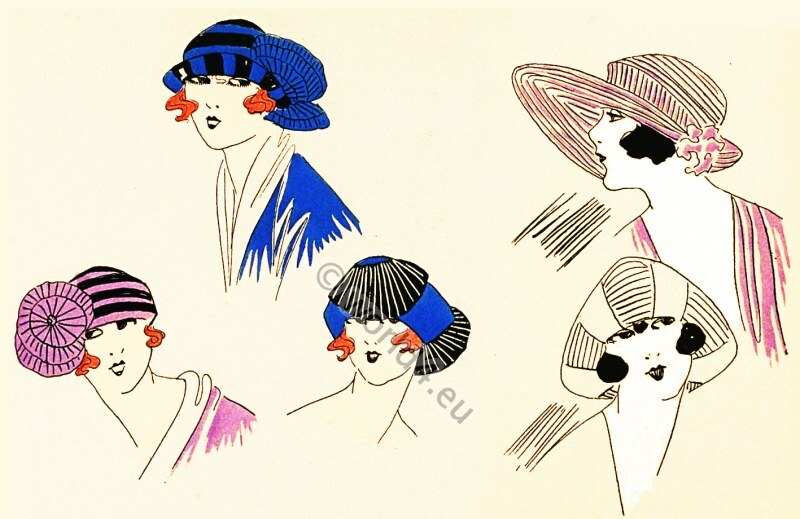 Les Chapeaux du Très Parisien 1922. This entry was posted in 1922, 20s, 20th Century, Art Deco Period, Chapeaux du Très Parisien, France, Hat and tagged Art Deco Fashion, Flapper on 7/28/13 by world4. Model Joliesse. Chapeaux du Très Parisien, Paris 1922. 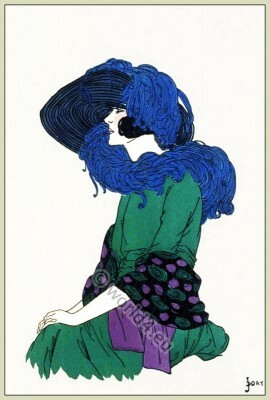 This entry was posted in 1922, 20s, 20th Century, Art Deco Period, Chapeaux du Très Parisien, France and tagged Art Deco Fashion, Flapper on 7/27/13 by world4. 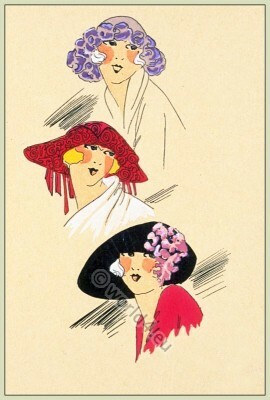 Petite Soiree, Chapeaux de printemps 1922. This entry was posted in 1922, 20s, 20th Century, Art Deco Period, Chapeaux du Très Parisien, France, Hat and tagged Art Deco Fashion, Flapper on 7/26/13 by world4. 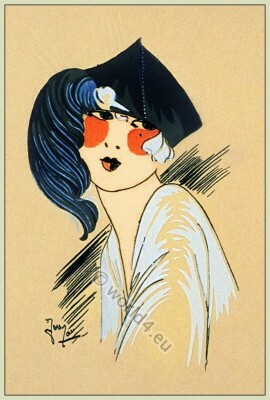 Cady, Les Chapeaux du Très Parisien 1922. 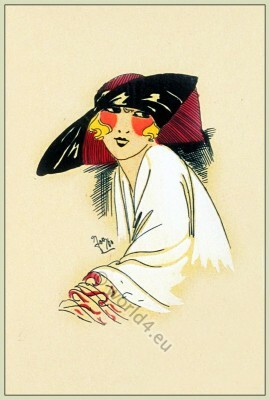 This entry was posted in 1922, 20s, 20th Century, Art Deco Period, Chapeaux du Très Parisien, France, Hat and tagged Art Deco Fashion, Flapper on 7/15/13 by world4. Chapeaux. 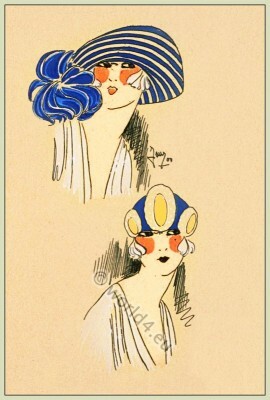 Les Chapeaux du Très Parisien 1922. This entry was posted in 1922, 20s, 20th Century, Art Deco Period, Chapeaux du Très Parisien, France, Hat and tagged Art Deco Fashion, Flapper on 7/14/13 by world4. Paris chapeaux mode de printemps 1922. This entry was posted in 1922, 20s, 20th Century, Art Deco Period, Chapeaux du Très Parisien, France, Hat and tagged Art Deco Fashion, Flapper, Gatsby on 7/14/13 by world4. Model Muscadines. Les Chapeaux du Très Parisien. Model Muscadines. 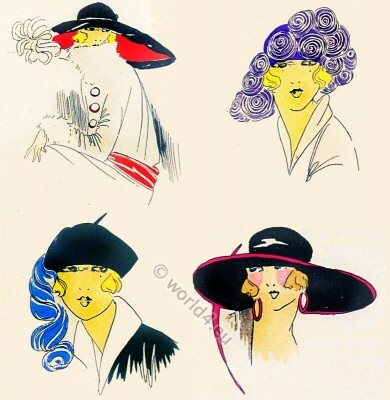 Les Chapeaux du Très Parisien 1922. This entry was posted in 1922, 20s, 20th Century, Chapeaux du Très Parisien, Hat, Haute couture and tagged Art Deco Fashion, Flapper on 7/14/13 by world4. This entry was posted in 1922, 20s, Art Deco Period, Chapeaux du Très Parisien, France and tagged Art Deco Fashion, Flapper on 7/14/13 by world4. 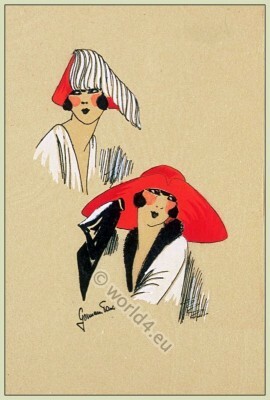 This entry was posted in 1922, 20s, Art Deco Period, Chapeaux du Très Parisien, France, Hat, Haute couture and tagged Art Deco Fashion, Flapper on 7/14/13 by world4.